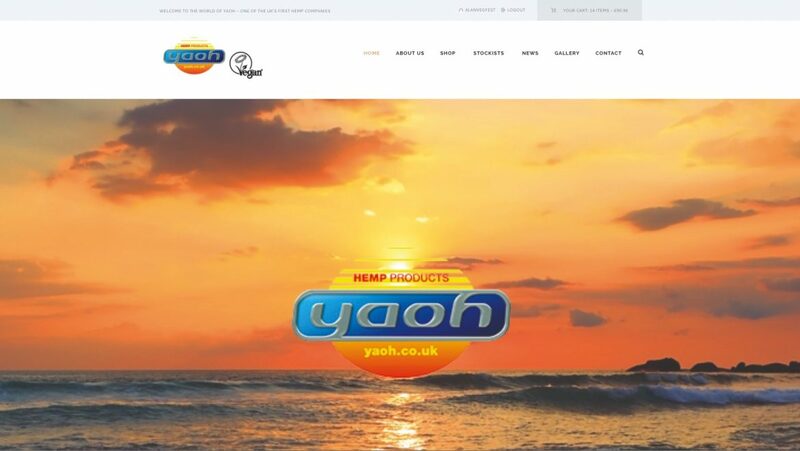 The website for one of the UK’s original hemp companies Yaoh has just undergone a makeover – not only does the new website carry its new sunrise logo and branding, but the website also showcases a number of new products in its bodycare and organic food catalogues that are 100% vegan and free from animal testing. Their new line of lip balm flavours includes Bubblegum, Caribbean Breeze, Natural (unscented) and Watermelon, alongside their existing flavours of Mango, Strawberries and Cream, Spearmint, Blueberry and Coconut. 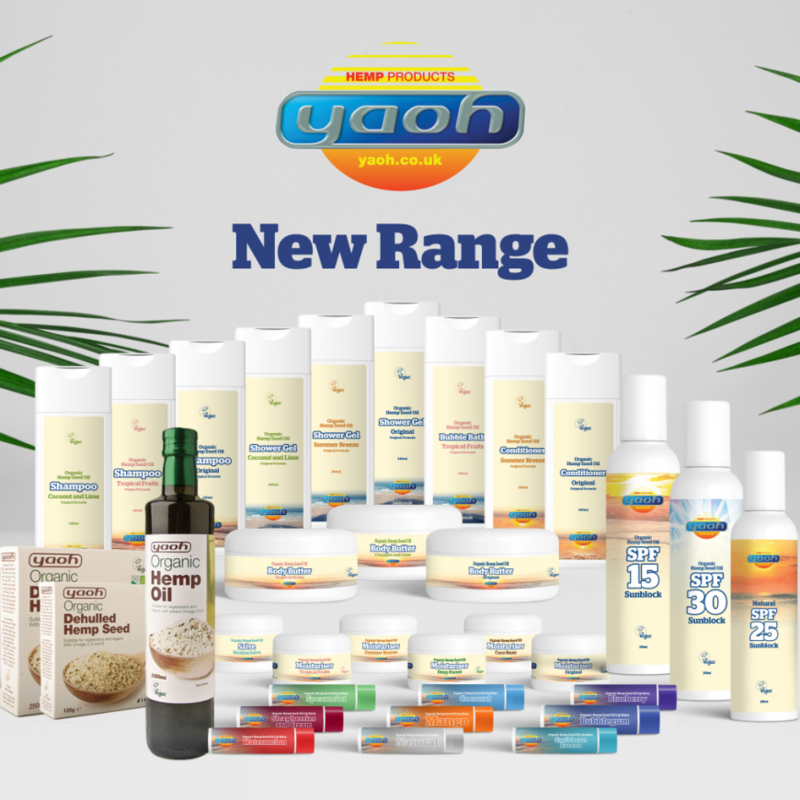 Meanwhile, Yaoh’s shampoos come in 3 great flavours including the ever-popular Original, plus 2 new great flavours – Coconut and Lime, and Tropical Fruits. Many of these products are now in stock and available to order online at www.yaoh.co.uk/products (products available to view under “Shop” at the top menu). Yaoh would also like to bring you regular updates on their products and exhibitions, and anyone wishing to receive e-bulletins from Yaoh should fill in the form here to subscribe. (Please note: In compliance with the new GDPR laws, which come into effect from May 25th 2018 onwards, anyone who hasn’t filled in this form will no longer receive further updates by email from Yaoh). 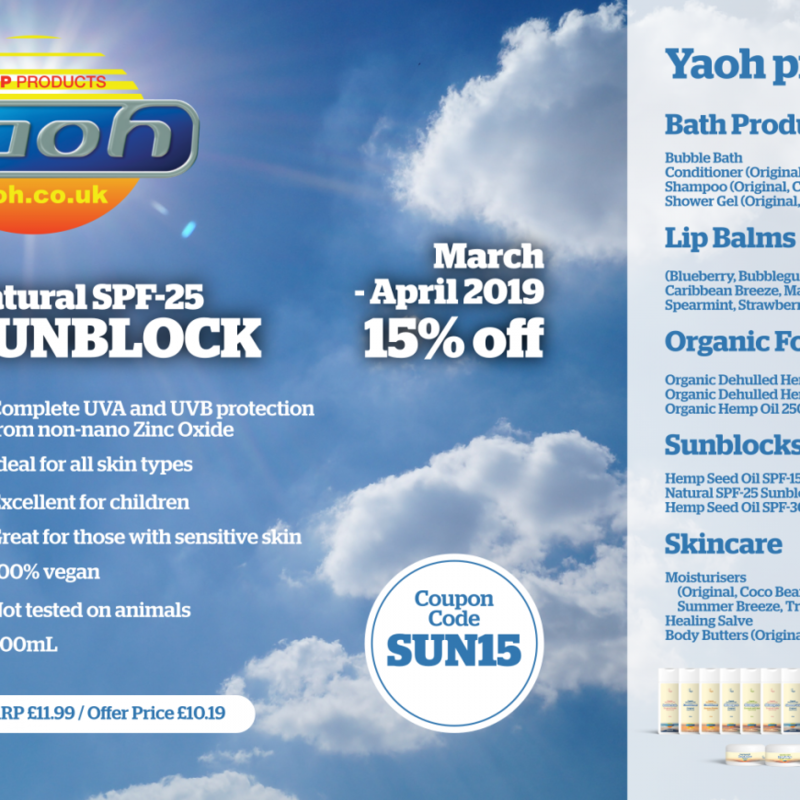 Yaoh will be sponsoring the upcoming VegfestUK events at Bristol (May 26-27) and London (October 27-28). All Yaoh products on display will be available on a special BUY ONE GET ONE FREE offer only at VegfestUK events. Buy tickets to VegfestUK Bristol at www.bristol.vegfest.co.uk/tickets.